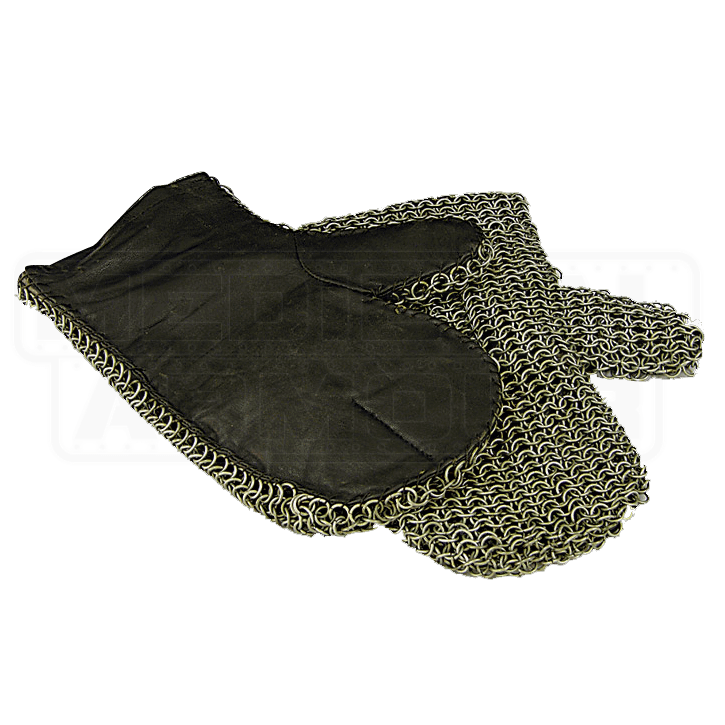 These leather mittens are backed with butted mail, providing solid hand protection and good gripping capabilities. The rings are constructed of mild steel and plated in Zinc. 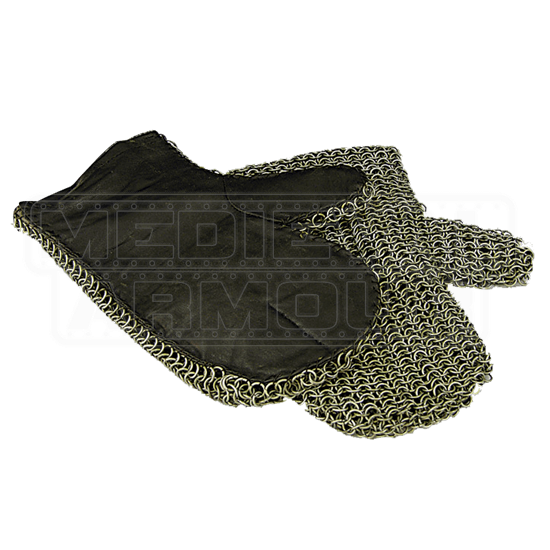 These padded Chainmail mittens will complete any chainmail suit of armour for re-enactments.